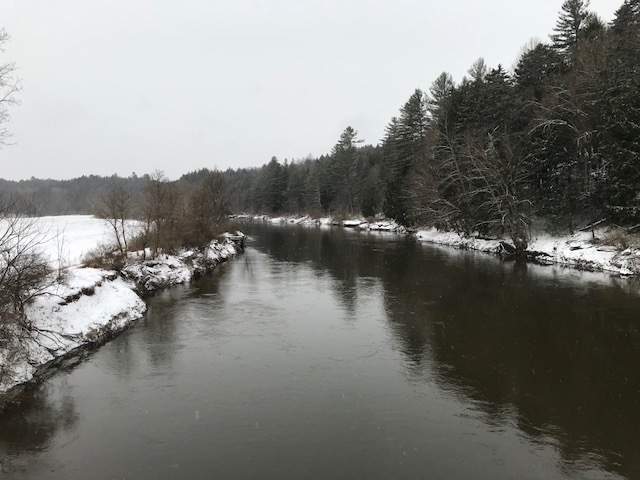 Welcome to the 2019 trout season here in Vermont. We had a very long snowy winter and as a result we should see a great deal of run off to contend with. As of today, there is still 111 inches of snow at the Mt. Mansfield stake. That is a good thing, as we need that snow melt to keep our rivers full and cold into the hot summer months. South of rt.2 and towards Burlington there is considerably less snow and many more viable fishing options can be found. Info below pertains to fishing north of Rt.2 and in the spine of the greens. If you are fishing early season, keep your presentation slow and low. Weighted flies and sinking lines will increase you odds greatly. While you will see some insect activity, personally I prefer streamers and eggs until May. Trout will surely eat nymphs but you must present them directly in front of the fish, as fish will not travel far in these water temps for smaller morsels. Targeting steel head and pike is a great early season option due to the fact that resident trout seem slower to wake up from winter doldrums. As far as water, try to target smaller, cleaner watersheds that do not drain a ton of water. While trout can be sluggish this time of year, some of the biggest trout of the season can be caught in April. It is all a matter of putting in your hours. Don't expect to catch 12 in a day but putting in your time can yield some of the larger trout the VT has to offer. Larger dark streamers and sucker spawn will cover fly selection for a great many situations. I don't carry dries with me in April as it is rare to see surface feeding this month. Good luck out there and I will report back on conditions as the season gets rolling. Don't forget to check out the Ditch Pickle Classic happening this year on June 22-23 http://www.fishthepickle.com if you would like to have a great time fishing with friends on Lake Champlain. Also, if you know a young angler looking to try fly fishing or progress their skills, check out Green Mtn. 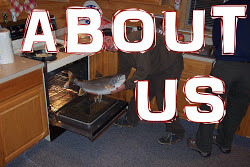 Fly Fishing Camps https://vtfishcamp.com . Well, it has been a while since I have updated the conditions page. That is mostly because conditions haven't changed in months! We just wrapped up a historically hot summer with July being the hottest July on record and it looks like August will be no different once the numbers are crunched. After 20+ years of fishing this area I have never seen such hot dry weather last so long. As a result, I can count on one hand the amount of times I trout fished/guided trout this summer. There were a couple windows where temps allowed it but flows have been so low it was hard to get excited about flogging the poor trout to death. So, most of my summer was spent bass fishing. Even the bass this summer started getting a lil moody about the conditions and were not as likely to be chasing flies around in the low, clear, hot water. It's not all doom and gloom though. The trout are still there and temps are looking to return to fall averages this week. We still have very low flows so light long leaders are recommended until we get some increase in water levels. Fishing areas of higher gradient will also be a good idea. Sept/Oct should see hatches of isonychia's and bwo's along with a scattering of terestrials. Typically you will see Bwo's on cooler days and Iso's on warmer days. As temps cool off we will return to mid day fishing for the best results. Last year we had some very warm weather in late Sept. that had river temps spike so keep an eye out in case that happens again but otherwise, get out there and enjoy the fall fishing! The season is underway and so far it has been a wet, cold & raw start. Despite that, there are fish being caught so if you brave the cold, you might get rewarded. The cold weather has definitely kept some rivers clean with decent visibility. There is still a lot of snow in the mountains (80 in. on Mansfield) so at this rate, runoff will take awhile. Streamers and eggs are most of what I throw in April but stone fly nymphs and pink/red worm also will get attention. As we get into May, I will start throwing more nymphs and soft hackles. 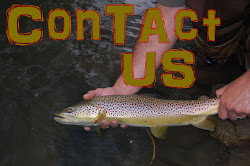 Speaking of May, if you would like to fish some prime dates in late May, please email us at gmtvermont@gmail.com and we would be happy to get you out on the water. Green Mtn. 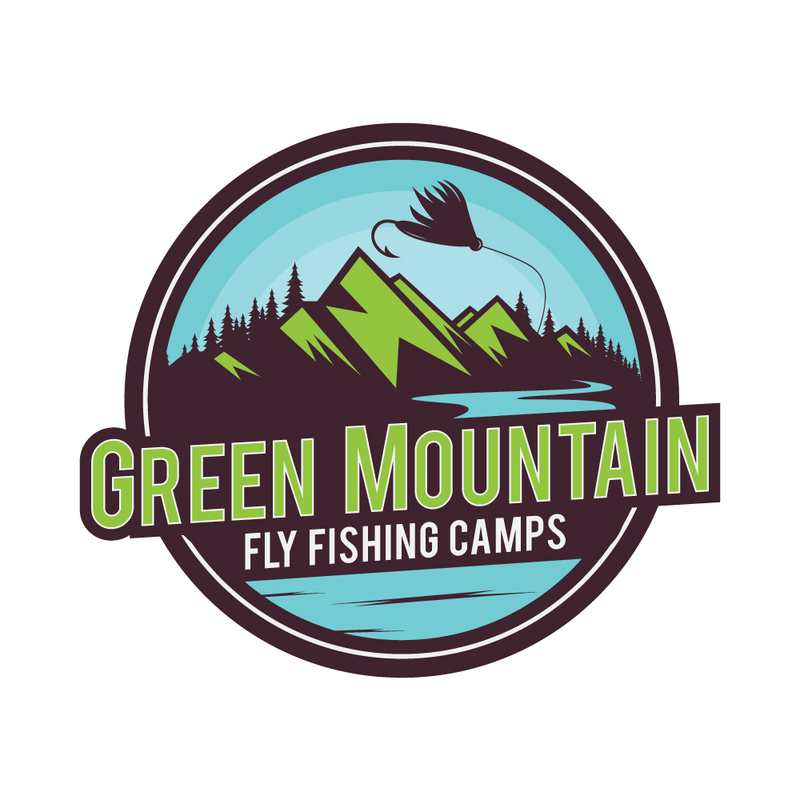 Fly Fishing camps are back for our 6th season and while our sleep away camps are full we do have spots available in our day camps in August. If you are interested please check the site at gmffc.com. 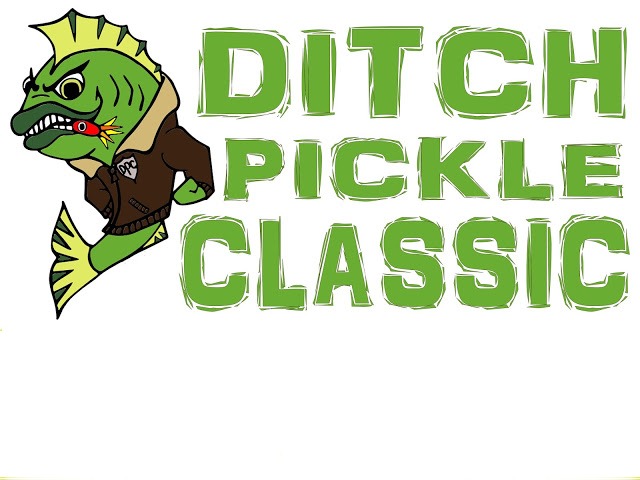 The Ditch Pickle Classic returns to Lake Champlain this June 23rd & 24th! This fly fishing tourney that we host with friends is going on its 8th year and we couldn't be more happy to keep the train rolling and do it again. Please check fishthepickle.com for all the info and to register your team. As fishing picks up, so will reports. Good luck out there! We are over a month into the trout season and so far so good. Steelhead season gave up some nice fish and as of now, we have been getting rain when we need it. Hendricksons have hatched and are now waning giving way to sulphers. While the henricksons were plentiful there was very little surface activity to speak of. I have yet to catch a fish on a dry fly this year and in general, the dry fly bite has been slow to pick up but, that should change over the coming days. We had some trips out this week and while 2 were successful, one was very slow. 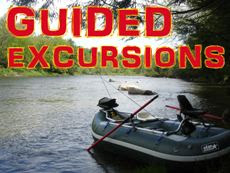 The slow trip took place on the Winooski on a weekend and I was blown away by the fishing pressure. Throw in groups of paddlers out and about and it makes for an interesting experience. Looking ahead we have pretty good fishing weather in the immediate future. Air temps in the 60's and low 70's are keeping the rivers nice and cool. Even though you can fish throughout day we are about to enter that time of year where morning and evening fishing are the time to be out. The sun rides high on these long days and the trout are more likely to play when light is low or its overcast. 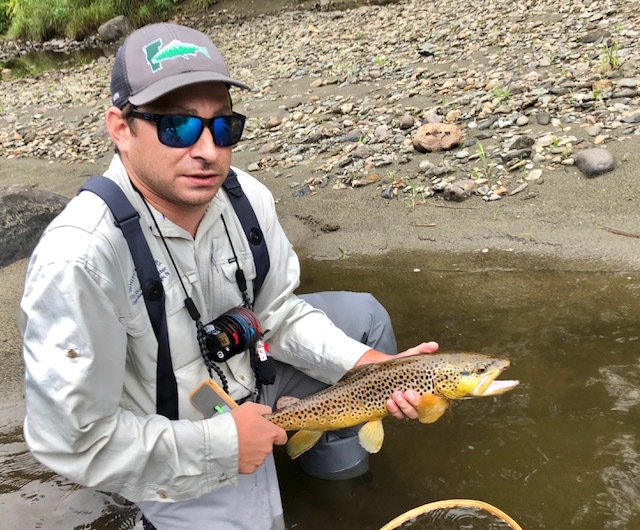 Not to mention hatches will be most common in the p.m.
Rivers have been stocked for the most part and fish have been spread throughout the waterways. VT fish and wildlife made an interesting switch this year and stocked 2700 brook trout in the Lamoille in Hardwick to Wolcott. This seems like less than ideal brook trout habitat and I wonder if it was a decision based on science or a financial one. I trust our biologists know more than me but I will say that the rainbows thrived upstream last year so I can't the rational here. Well that's about it. Don't forget the ditch pickle classic tourney takes place on Lake Champlain this June 24th-25th. Save the date and come join the fun. Happy 2017 trout season to all the anglers out there. As any Veteran VT angler would tell you, the start of the season is often a hurry up and wait approach. Nevertheless, there are always opportunities for those willing to brave the elements and the high/cold water. Steelhead, pike, and browns are often your best bet early in the season. If you're targeting resident trout, finding a thawed beaver pond can pay off as well. Also, when fishing rivers, try to pick your watershed accordingly. You do not want to be fishing drainages that funnel tons of snowmelt this time of year. Look for lower elevation areas that don't drain the spine of the greens, which are loaded with snow still. We continue to have a decent snowpack (112 in. on Mt. Mansfield as of today) unlike last year and that is going take awhile to dissipate. 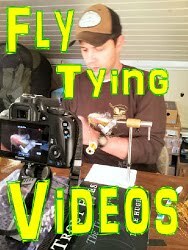 This time of year I personally only throw 2 types of flies for trout - eggs and streamers. You will see little stoneflies on the warm days and common sense will tell you to tie one on but in my experience I have had very little luck with that approach. It is a tough sell to ask a trout to move through cold heavy water to eat a #16-#18 stonefly. It seems like too much effort for too little reward but a protein filled egg or meaty streamer....that's another story. Don't get me wrong, fish definitely will eat early stones in front of them but I myself have not had much luck "matching the hatch" in Early April. That's my two cents for April fishing. Use weighted heads or split shot and slow down your drifts and retrieves whenever possible. Stay safe while wading this month and when you snag up (which you should be) use common sense when wading out to save your fly or just don't attempt it. 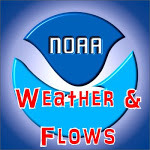 The same goes for crossing rivers on warm days when flows can increase quickly from the sun. Good luck out there and enjoy all the fishing options VT has to offer.